Small Business Saturday follows Black Friday and encourages people to shop local. Post-Thanksgiving deals continue Saturday on Small Business Saturday. The day was started back in 2010 as a way to celebrate and encourage people to support local businesses. Blount County businesses are participating in a big way this year, offering deals on everything from wine to antiques to river tubing season passes. “We feel like this is a great way to make people aware of shopping at local businesses during one of the busiest shopping days of the year,” said Blount Partnership President Bryan Daniels. “As the voice of small businesses, we want to do all we can to help promote our many small businesses. 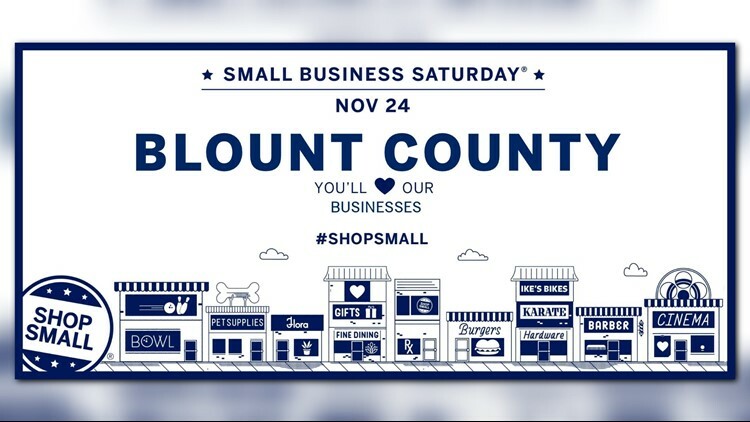 According to the Blount County Chamber of Commerce, the following businesses will be offering deals all day on Nov. 24.